For any automobile transport needs including breakdown, unregistered and/or unroadworthy vehicles, project cars etc. you can depend on Yarra Ranges Towing. We’re a reputable Melbourne-based business that can take care of all your auto towing needs. If you’re searching for quick and professional car towing you can confidently count on us. With a tow truck service that’s incredibly fast and reliable we’re a company that understands time is precious! We are available for all your towing needs. 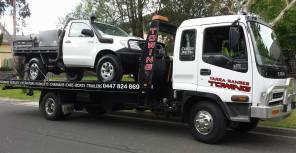 ​​Our company caters to the vehicle towing needs of people located all throughout Melbourne(Eastern Suburbs Specialist). Being small based we pride ourselves on vehicle and customer care. We use straps (not the out-dated chains) so as not to damage your pride and joy. Your concerns will be addressed by a mechanically knowledgeable driver in a professional and respectful manner. Our rates are highly competitive so if you’re in need of affordable towing in Melbourne, working with our business is your best option.